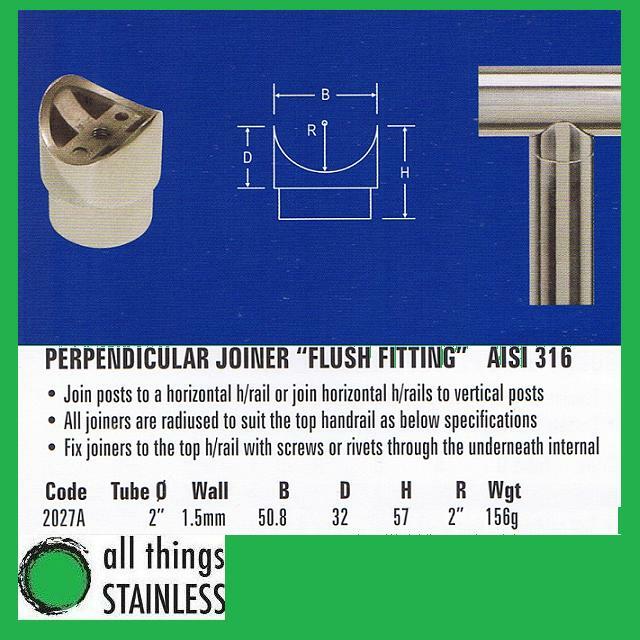 Perpendicular joiners are used to connect two pieces of tube (can be different diameters) together. 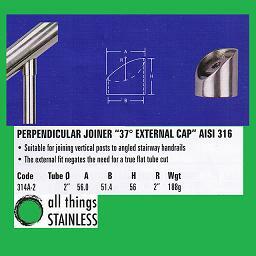 Each perpendicular joiner has two main sizes that need to be considered. 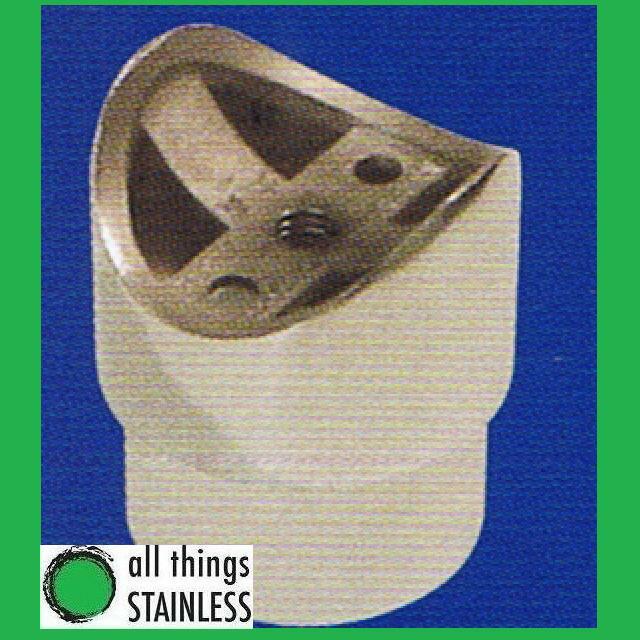 The first is the tube size, this represents the size of tube the perpendicular will fit inside of. The second size is the radius, this is the size of the tube the perpendicular joiner will sit against. 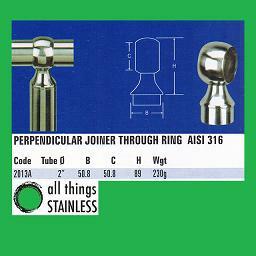 Perpendicular joiners are usually Tex screwed (or welded) through the radius from the inside. They are then usually glued (or welded) to the tube they are to sit into. 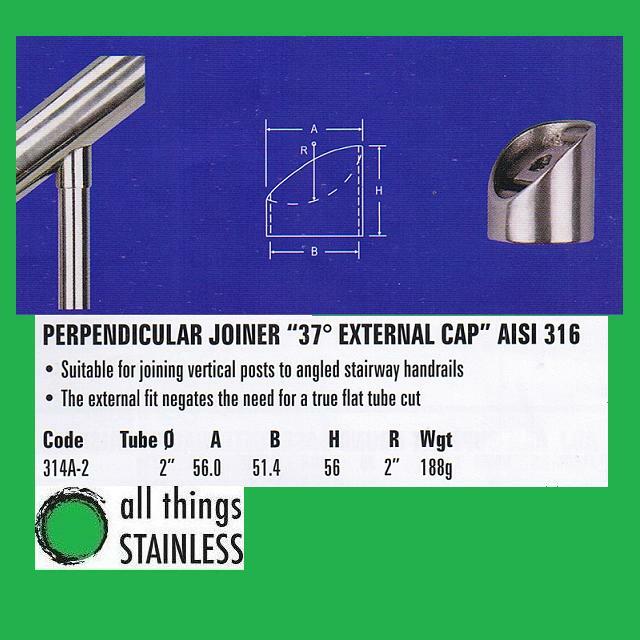 Perpendicular joiners are great for joiner a round post to a round handrail. A perpendicular that has 1" Tube and 2" Radius dimensions will join a 1" round post to a 2" round handrail.